It looks like HP has a winner with the new Mini 311. Not only did Laptop magazine like the style, video performance and price they reported getting close to 6 hrs of battery life from the standard 6-cell battery that comes with the machine. If you order one now, HP is offering 50% off a second 6-cell battery. When Windows 7 launches in just under a couple of weeks, expect to see a whole new generation of netbooks based on the same NVIDIA ION chipset that is powering the HP Mini 311. Several manufacturers delayed the launch of their ION based machines to correspond with the launch of Windows 7. Published on September 10, 2009 in Uncategorized. 0 Comments Tags: HP Mini311c netbook. 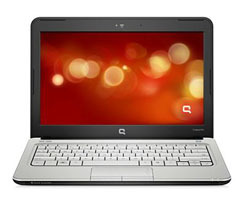 Is it a netbook, or is it a laptop? The line blurs again with the upcoming HP Mini 311c. Looking at a few of the published online retailer specs, it will be a netbook-laptop with an 11.6 inch screen, and the new NVIDIA ION (LE?) chipset. According to Notebook Italia, the laptop dimensions are 11.4″ x 8″ x 1.2″ and it will weigh in at 3.2 pounds. 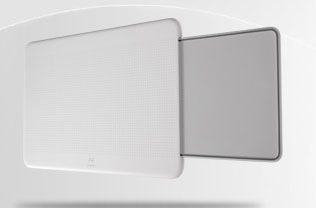 A 6 cell battery will be included, and the 11.6 inch display will have a resolution of 1366 x 768 pixels. No cost for the machine in the US has been published yet, but European & UK pricing suggests a US retail price of about $500 (based on current currency conversion rates). HP may well have a lower price in mind for the US market to keep it competitive. Welcome to Netbook Style! How far we have come..already! This Blog is dedicated to those small, ultra-portable PCs that have become so popular since Asus launched the Eee PC in October 2007. 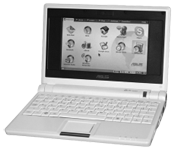 The Eee PC featured a 7-inch screen, and a 4 GB solid-state drive and sold for $399 USD. Today, a 10-inch screen, 2 GB of memory, a 160 GB hardrive and 4+ hr battery life is not an unusual specification for a Netbook. The Netbook is a testament to how rapidly the consumer electronics market evolves, with most major PC manufacturers now building these diminutive laptops and constantly improving their spec’s.